After reaching a high of 80 degrees for Saturday a cold front will drastically change our weather. 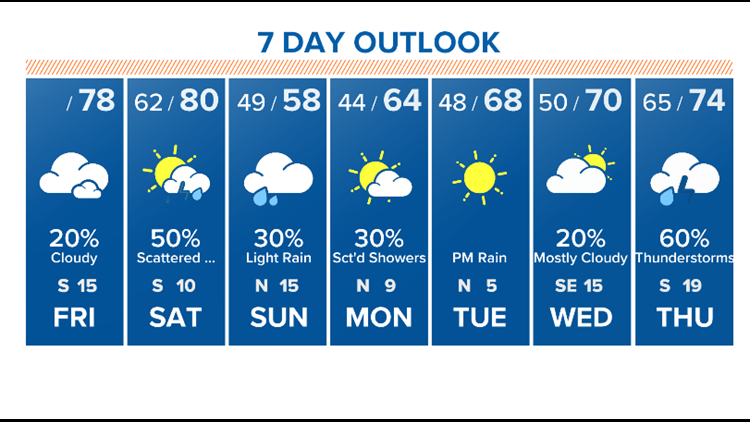 HOUSTON — What a beautiful weather week we have seen the past seven days. High temperatures in the mid 70s with partly cloudy skies and low humidity - ohhhh it's just been absolutely beautiful! We have one more day (today) of pleasant conditions. 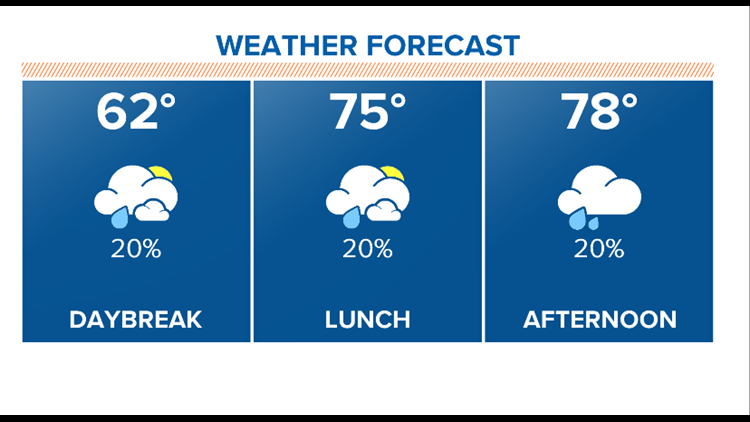 Even though there is a 20 percent chance for a few showers, it won't be that bad, and 70s are still expected. Enjoy today outside if you can. With the warm weather and breezy southeast winds we aren't expecting a break with our pollen either. 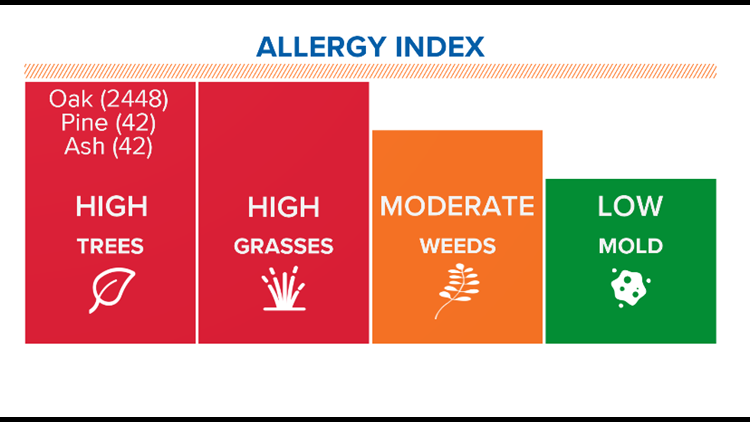 Tree pollen is at extreme levels, grass is heavy, ragweed is now up, and with all the additional moisture in the atmosphere across southeast Texas, I bet our mold spores will even pick up. Just crazy!